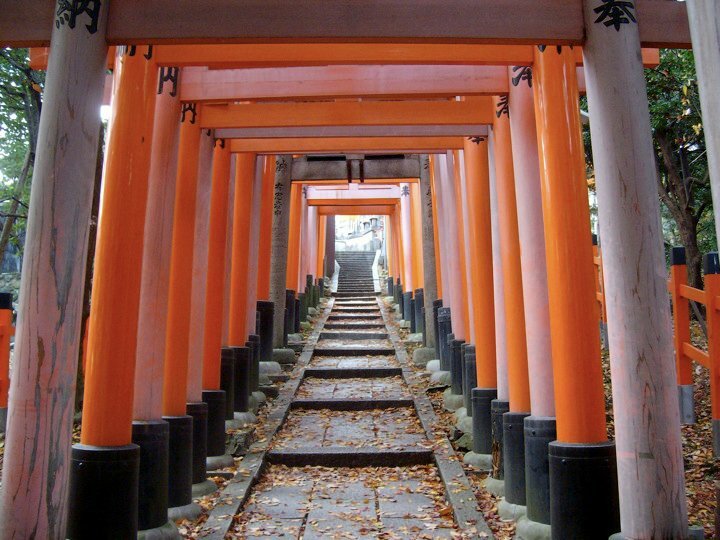 If you’re in Japan for the World Cup and looking for one non-venue city to visit between matches or just for a bit of sightseeing while you’re in the country, Kyoto is the obvious choice. As Japan’s capital from the late 8th Century to the late 19th Century it’s a living treasure of ancient temples and a living repository of traditional Japanese culture, and unlike most Japanese cities it came through WWII intact (nearby Osaka and Kobe were reduced to rubble). The years since then have seen Kyoto recieve the same kind of concrete makeover as the rest of Japan, so don’t expect the whole city to look like Memoirs of a Geisha – if you do you’ll be disappointed, especially when arriving at Kyoto Station. That said, some areas of the city are beautifully preserved and even in the most modern suburbs the temples and shrines remain as islands of ancient beauty. For a taste of old Japan, the Gion & Higashiyama and Arashiyama districts are lovely, and southern Kyoto’s Fushimi Inari is my favourite shrine in all Japan. Meanwhile there’s great hiking (and more shrines & temples) in the surrounding mountains, with October mostly having ideal hiking weather. Kyoto doesn’t really have a rugby scene, but the British & Irish pubs in town will be showing the games and attracting reasonable crowds for them. The Hub is a well-known ‘British’ pub chain with locations throughout the country, their branches in Kyoto are at the Sanjo-Kiyamachi intersection (near the main nightlife strip), Shijo-Karasuma intersection (near the main shopping area), and in the Yodabashi Camera building just north of Kyoto Station. For a slightly more authentic pub experience head to Dublin on Oike-dori right outside Shiyakusho-mae Station (Oike is a 5-minute walk north up Kiyamachi from the Hub on Sanjo-dori). 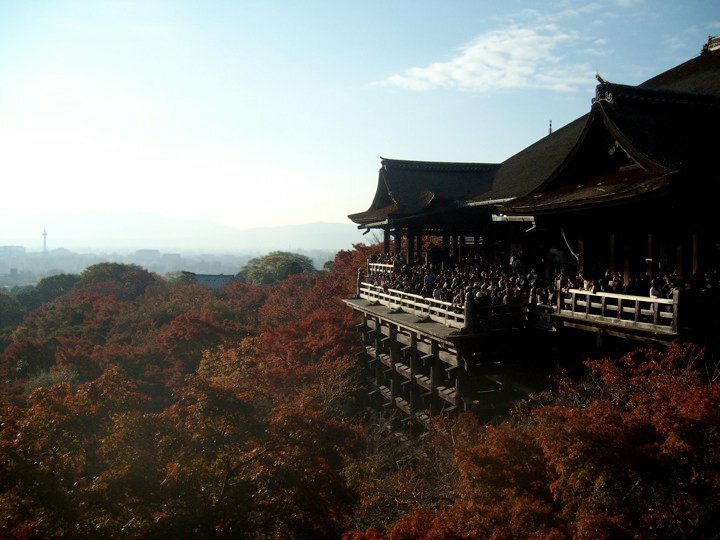 Agoda’s usually best for booking hotels in Japan; search Agoda for hotels in Kyoto. There’s so much to see in Kyoto, it really goes beyond the scope of the few days you’re likely to be there for (or the scope of this website) to try and cover it all. There are so many temples & shrines to choose from, it’s easy to overdo it and get ‘templed out’ so they all end up looking the same – best thing to do is pick a few standouts to base your itinerary around, and compliment visits to those with some random wanderings. For me the star of the show is Fushimi Inari, and you also shouldn’t skip the hillside Kiyomizu-dera; the Golden Temple (Kinkakuji) is probably the most famous single image of the city, I’m not personally a huge fan of it actually but lots of people love it. See here for a longer post I wrote on my travel blog about the best temples & shrines to visit in Kyoto. Although quite large & spread out, Kyoto’s a great walking city in places – see here for a good walking route taking in the Gion teahouse district before heading up the hill to Kiyomizu-dera, and here for the Philosopher’s Path area further north. For more general reading and sightseeing ideas see my travel blog here. October’s an ideal time to visit Kyoto weather-wise (unless you get unlucky and cop a typhoon), and it’s a great city for a spot of hiking – if you fancy getting out into the hills for the day see here. 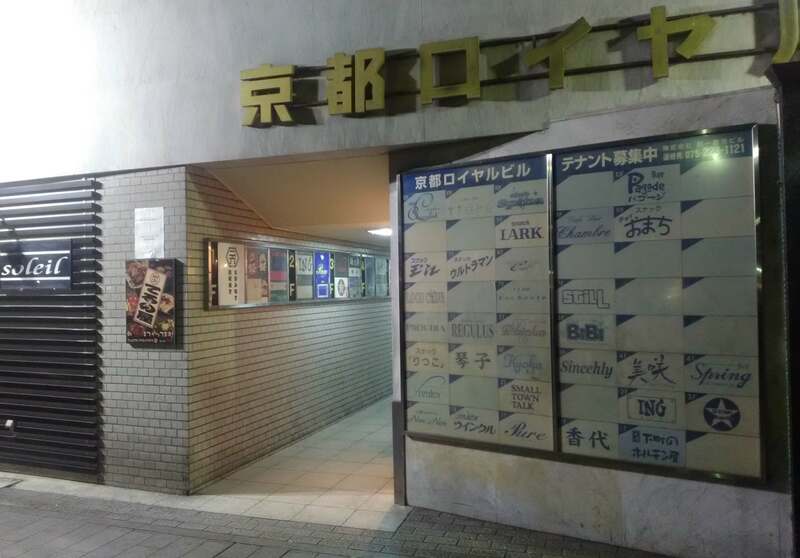 The best club in the Kansai area is actually Club World in Kyoto, located just outside Kawaramachi Station (map here). 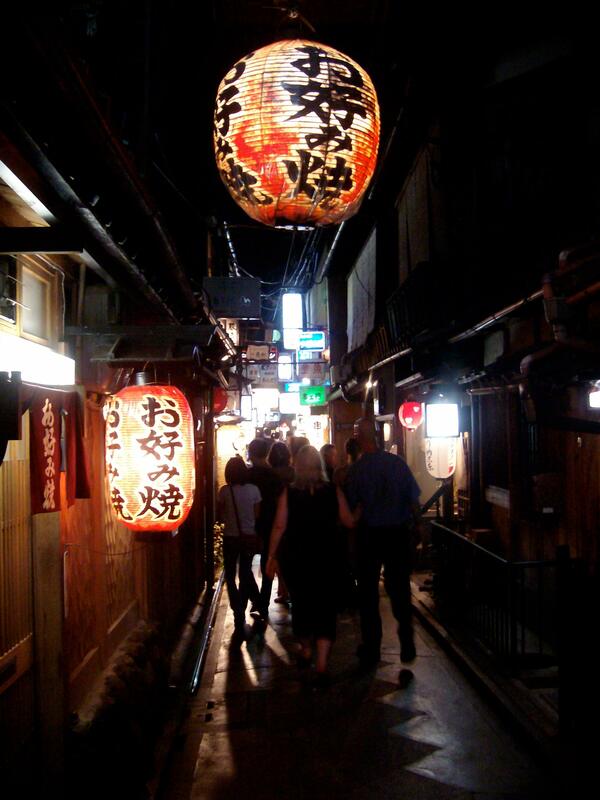 Other than that it’s more of a bar scene, with most drinking spots along Kiyamachi street between Shijo and Sanjo streets, and the parallel Pontocho alleyway. Many of these are pokey little joints with just a few seats squeezed between the bar and the wall, and for first time visitors it can be a little hard to work out which places are good just for casual drinks. Pontocho’s a great place for a wander even if you don’t go in anywhere, while the northern bit of Kiyamachi (closer to Sanjo street) has a decent number of standing bars and shisha places which are straightforward enough. 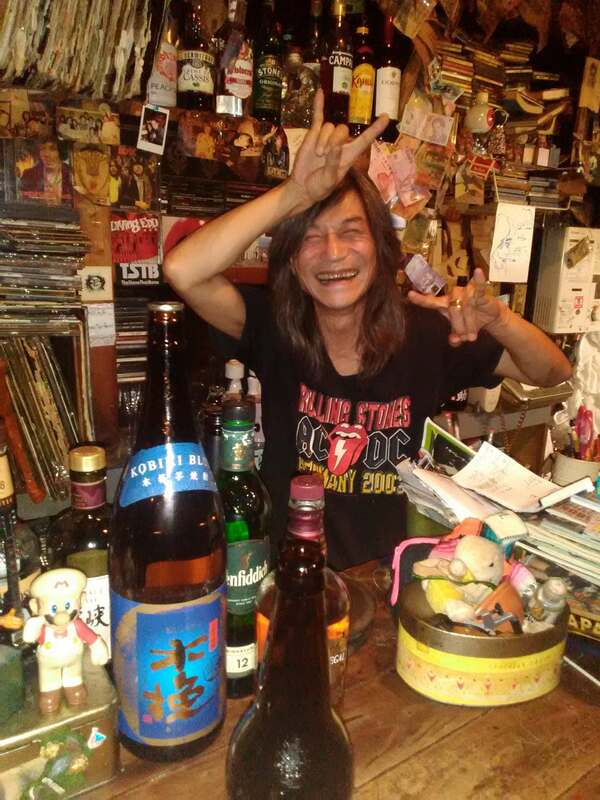 My personal favourite is ING Bar, a crazy little rock bar run by local legend Haku-san – it’s tucked away at the back of the second floor of the Royal Building on Kiyamachi. There are also some good bars across the river in Gion; for serious cocktails the bartenders at Gion359 know what they’re doing. Kyoto isn’t known as a shopping mecca, but the Teramachi district of covered shopping arcades is an interesting area for a wander and a browse; the Nishiki Market cuts through the same area. If you’re after electronics there’s a Bic Camera attached to Kyoto Station and a Yodabashi Camera just north of the station on Karasuma-dori. Kyoto’s transportation is frustratingly disjointed, with multiple companies operating different train lines with separate ticketing; the easiest way to deal with this is to use an IC card which works it all out automatically when you tap in & out (otherwise you’ll likely find yourself faffing about with ticket machines to an annoying degree). The local IC card is Icoca from JR (for a full explanation on IC cards see here). It’s often more cost-effective to use a bus pass – these are 500 yen for the day, available at the office next to the bus stops on the north side of Kyoto Station. 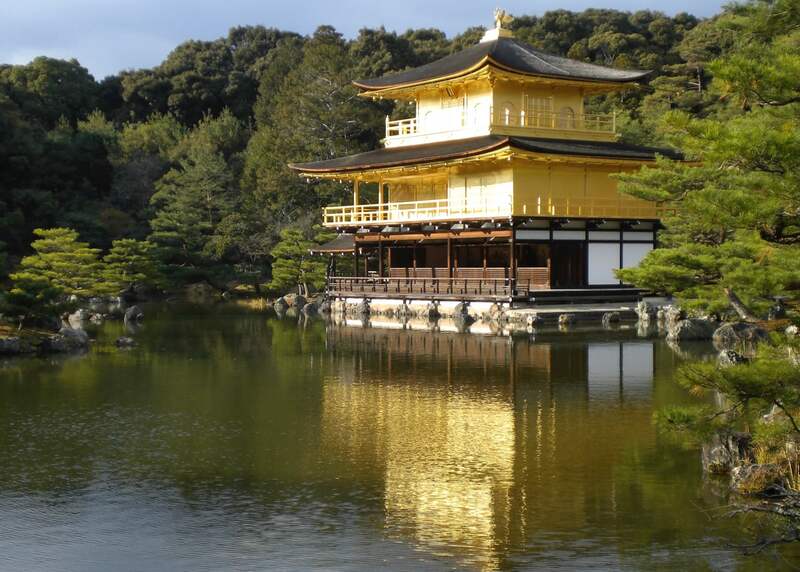 Also some popular sites are easier to visit by bus, notably the Golden Temple and Ryoan-ji. Do be aware that buses can often get snarled up in traffic and take considerably longer, especially for slightly further areas like Arashiyama. The Keihan Line runs north-south down the eastern side of Kyoto and will be useful for those staying near Sanjo or Gion. Another useful bus route is direct between the Silver Temple bus stop & the Golden Temple using #102 or #204. There’s more useful bus info here, and Google Maps is very reliable with the bus routes & times. Any questions about Kyoto? I used to live there and know it well – give me a shout below and I’ll get back to you.